Hit a big milestone today! 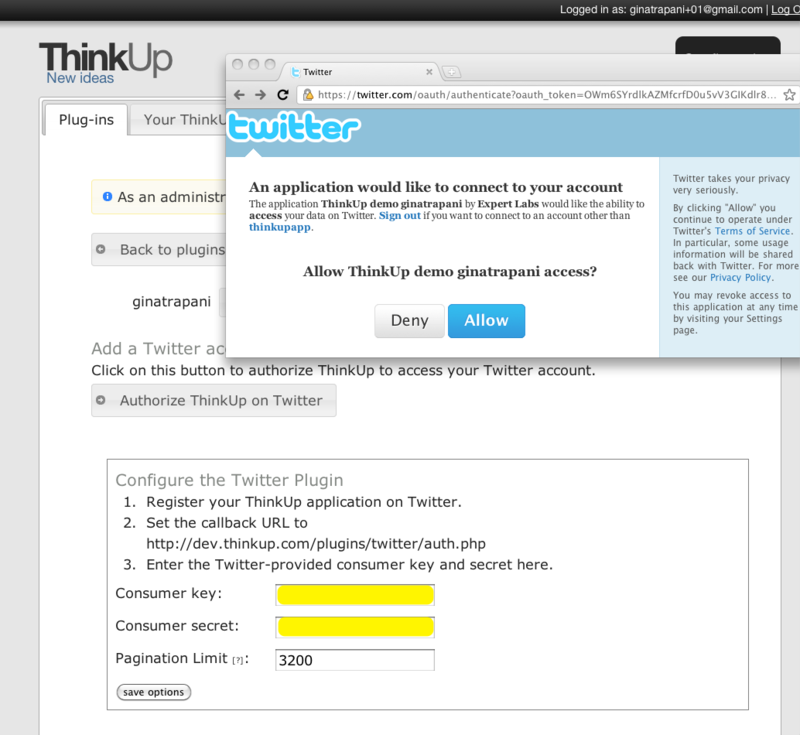 We released the first beta of ThinkUp, the PHP/MySQL webapp that archives your social media interactions in a database you control. Download it here. Following eight alpha releases over the past eight months, I’m so proud that the ThinkUp community and the software product itself has reached beta. The beta represents hundreds of commits by over 20 thoughtful developers scattered across the globe, and countless conversations on the mailing list, in Wave, on Skype, IM, and on GitHub. It’s amazing how far ThinkUp’s come since its early days as a solo weekend project. This release includes an easy, three-step installer, multi-user and account support, full search and export of you and your friends’ posts (something even Twitter doesn’t offer for those of us over the 3,200 tweet limit), the beginnings of Facebook integration, and neat data visualizations courtesy of Google Maps and the Google Charts API. 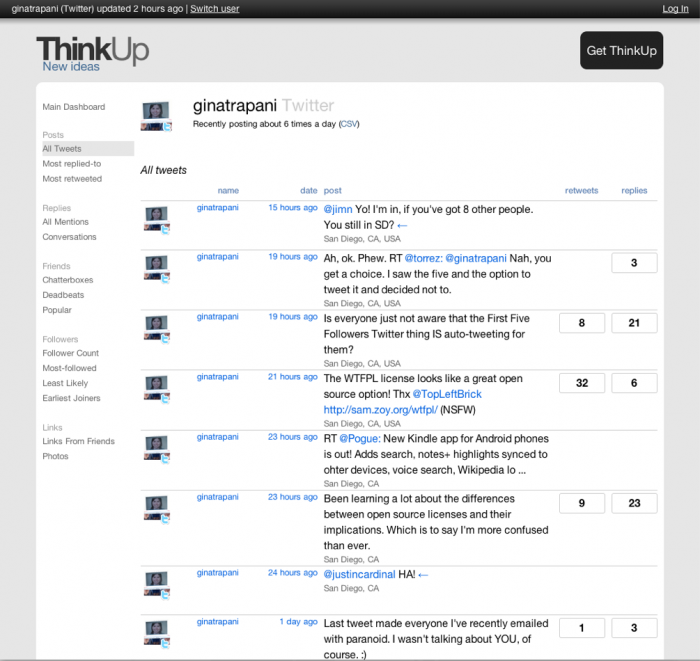 Here’s a quick screenshot tour what what we’ve been working on in ThinkUp, and how you can get involved with the project. Compare these beta screens below to the pre-alpha look. Evolution! 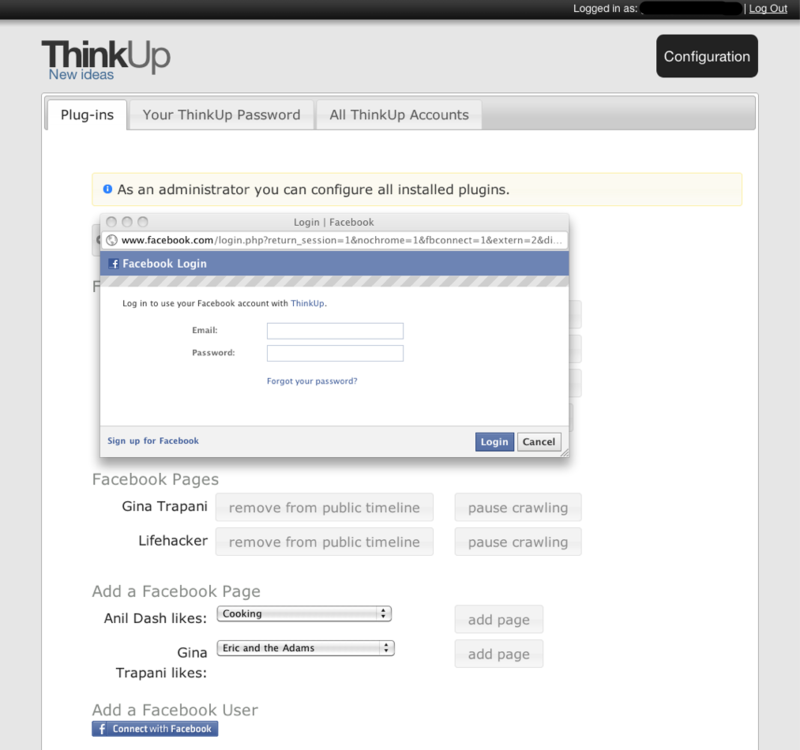 ThinkUp offers a three-step, web-based installer so you can get started in minutes. 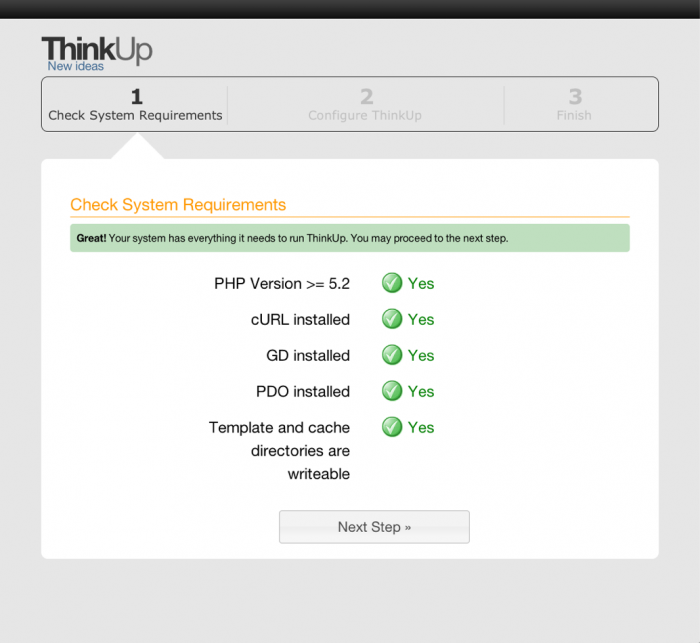 You will need a public web server with PHP and MySQL to install ThinkUp, but we’ve done our best to ensure it will run on the most common web hosting plans available. 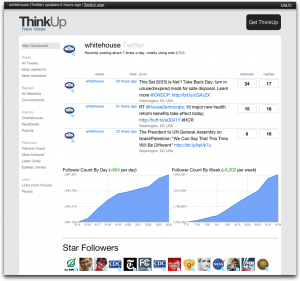 Connect ThinkUp to your Twitter account so it can start gathering your social data. All of ThinkUp’s functionality is available in the form of modular plugins, which make it easy for users to enable and disable different features and for developers to make ThinkUp even more useful. ThinkUp’s public dashboard displays an overview of a user’s interactions. 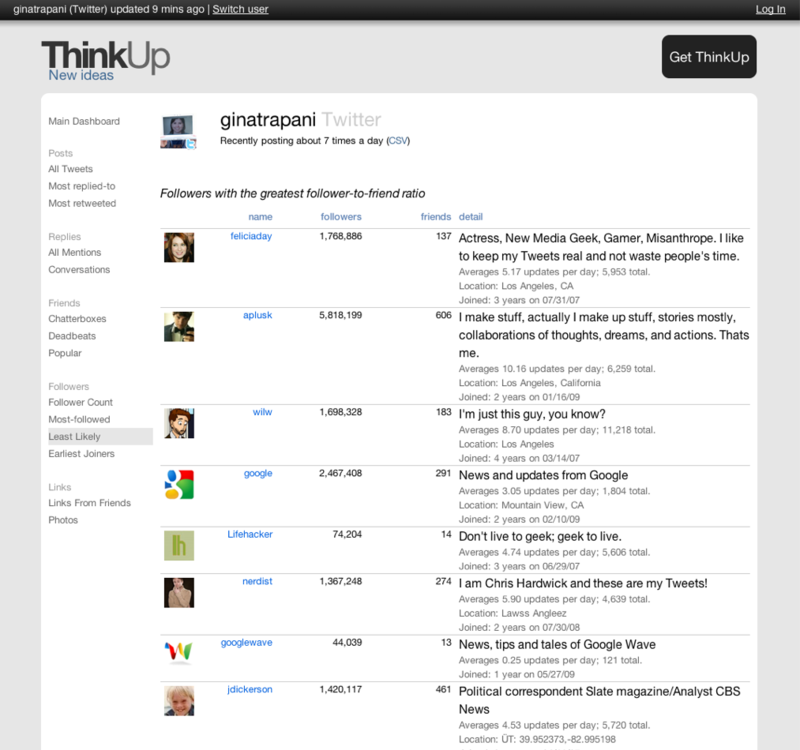 Click on an item in the sidebar to view lists of information, like all of a user’s posts. See a list of replies to a particular post, sorted by relationship (friends come first), follower count, or published date. 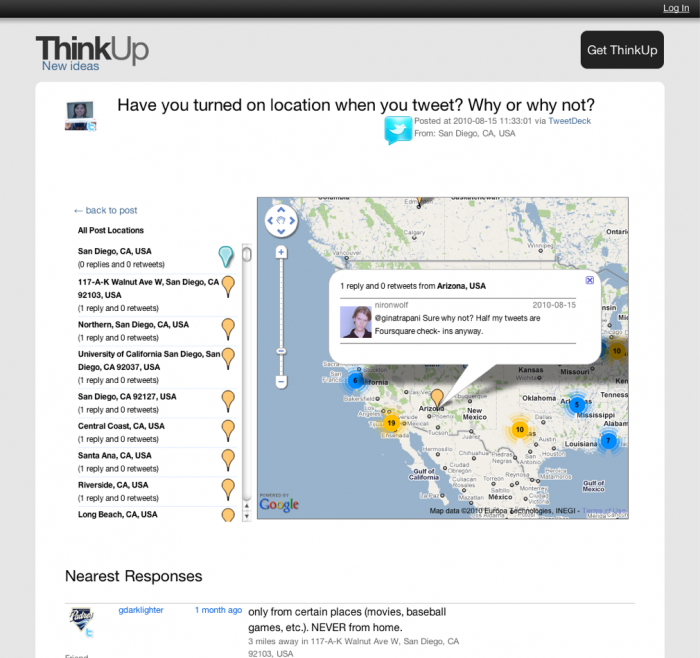 Get a Google Map of replies and retweets to a particular post, and see a list of responses sorted by location–that is, how near they are to the original post. Connect your Facebook account to ThinkUp to gather posts and replies for your user profile, or a Facebook page. Search any list of posts and export the results to a CSV file. See all the photos your friends have posted on Twitter. 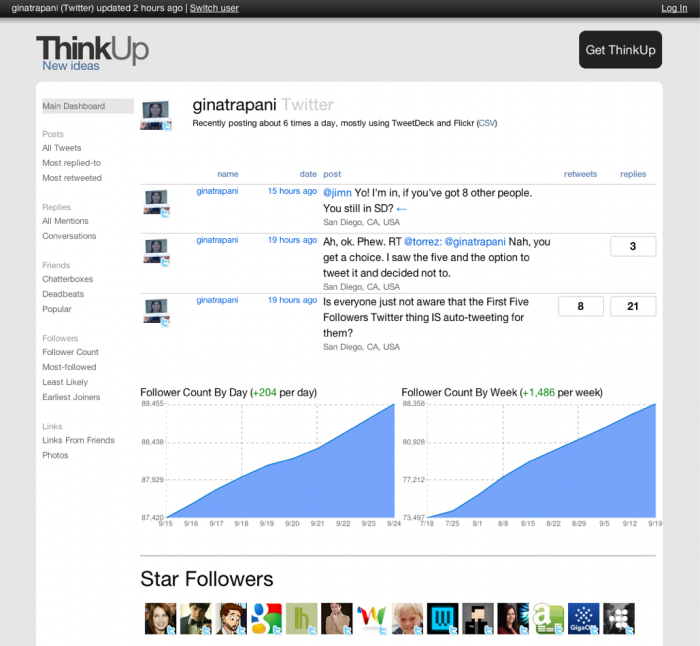 See a list of all of your followers who have the highest follower-to-friend ratio. Likewise, see your friends who post the most and post the least (chatterboxes and deadbeats). 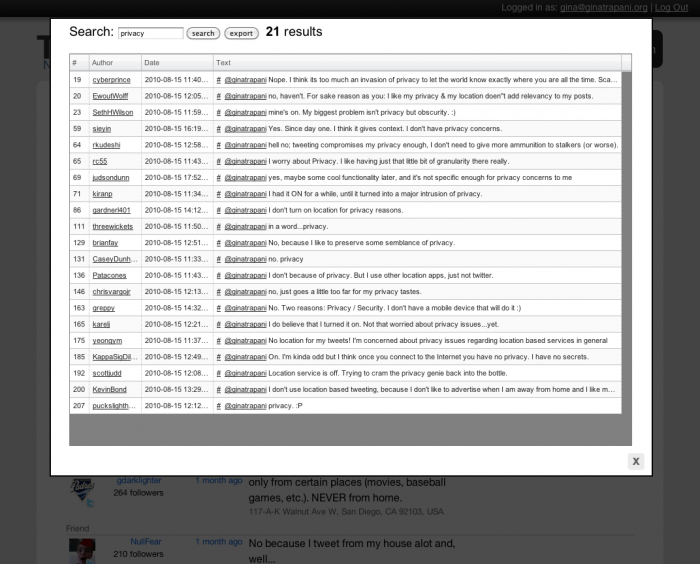 View a list of back-and-forth exchanges between a user and others on Twitter in one page. 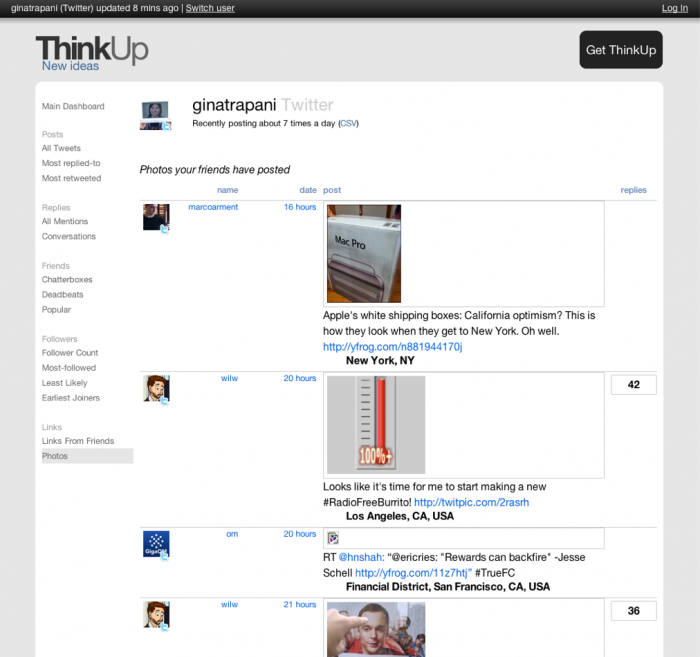 We’re still very early in ThinkUp’s development cycle. There is still much to do. But we’re looking for some brave testers and developers to join us. Here’s how to get involved with the project. 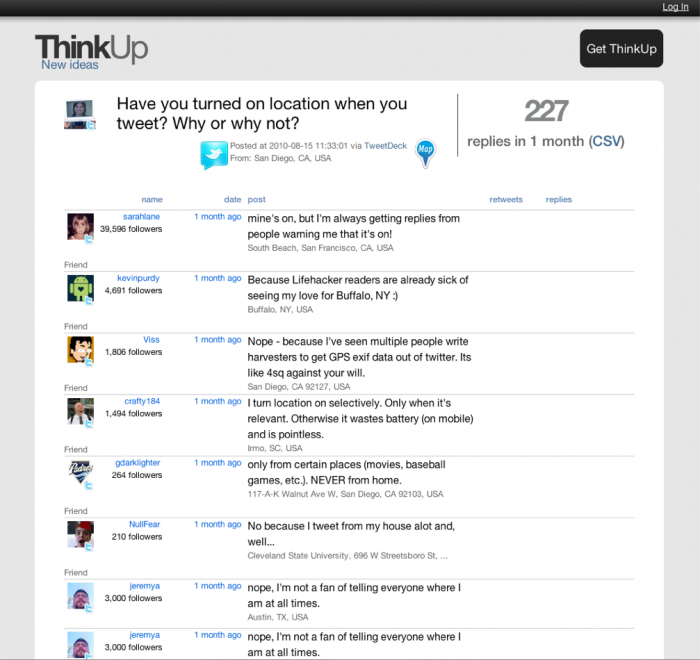 Download ThinkUp and start using it. 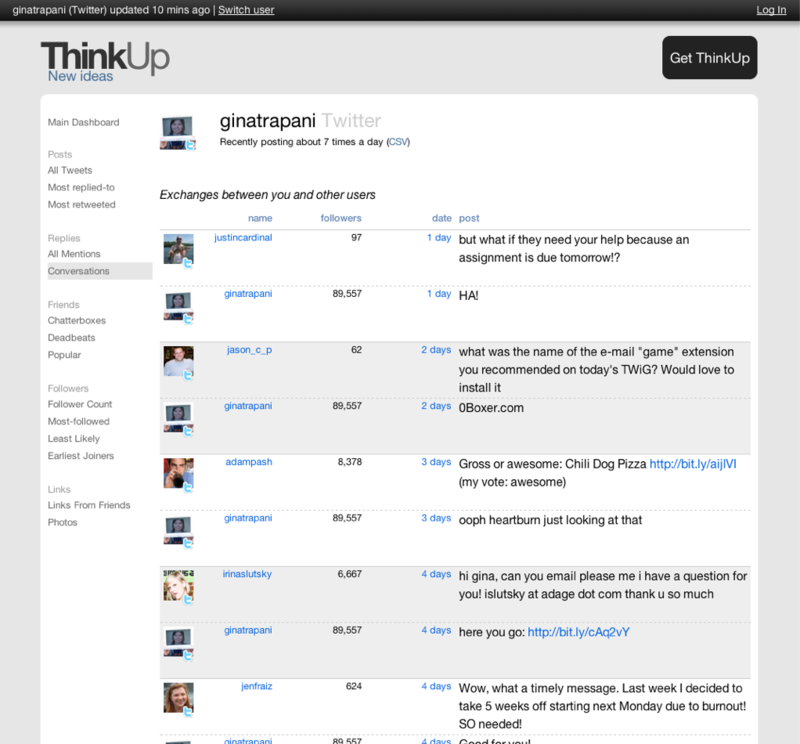 Check out the ThinkUp documentation wiki, and make improvements to it if you see something that needs fixing. Subscribe to the Expert Labs blog to find out the latest news on our projects. Join the mailing list and be part of the conversation about ThinkUp’s future. Fork the source code on GitHub. Browse our detailed code documentation. Check out our bug tracker and to-do list. Let us know what you think on the ThinkUp mailing list. I haven’t had this much fun launching a new project since the early days of Lifehacker. I hope you’ll check out the app and let us know what you think. Been listening to TWIG for a while now and waiting to try this out!!!! This looks like a pretty nice app. That said, it has some XSS holes and I wouldn’t recommend anyone use it until they’re patched. Looks really nice. However, you really need to emphasize the fact that you need a PUBLIC webserver to use this. Yes, you do mention it, but some us are too stupid — er, excited — to read, jump in, and don’t quite realize what we’ve done until we get to the part about twitter needing to do a callback. Oh, well. Maybe I’ll poke holes in the firewall. Why is a PUBLIC webserver needed? I’m a developer, and use 127.0.0.1. I’d like to be able to use ThinkUp privately to check it out before putting it up on one of my domains. Linked twitter and facebook and so far its looking great! That’s an amazing idea, Gina! Congratulations! Congratulations! I will be installing it muy pronto. This week in a seminar we read Doug Engelbart’s work on Augmenting Human Intellect and it reminded me of your work.